Posted April 29th, 2016 by alexa & filed under Families. 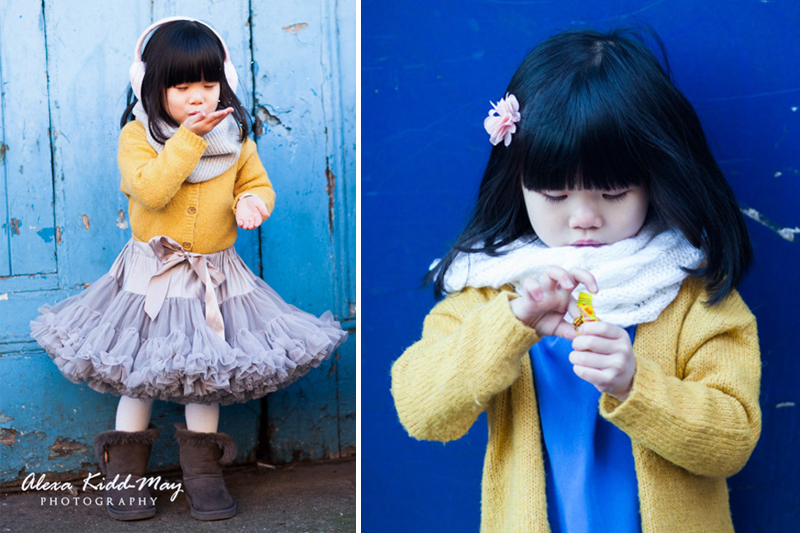 As a kids photographer in Central London most of my sessions tend to start in the family home. I feel this works really well for getting to know the children. 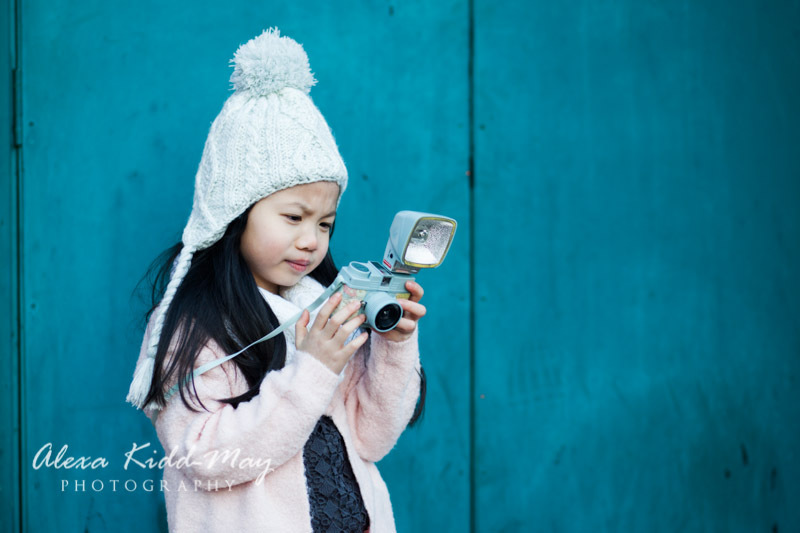 We then start capturing some informal photos of the kids doing their various activities around the house. Then we usually move on to a local park, where we start with some relaxed portraits of everyone together. I then like to allow time for the children to just play and be themselves. 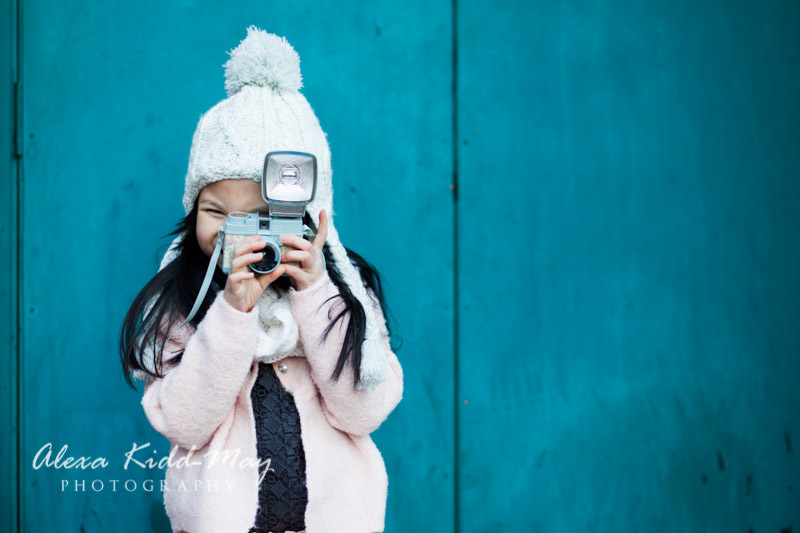 This is the perfect time for photographing those genuine moments that happen in family life. 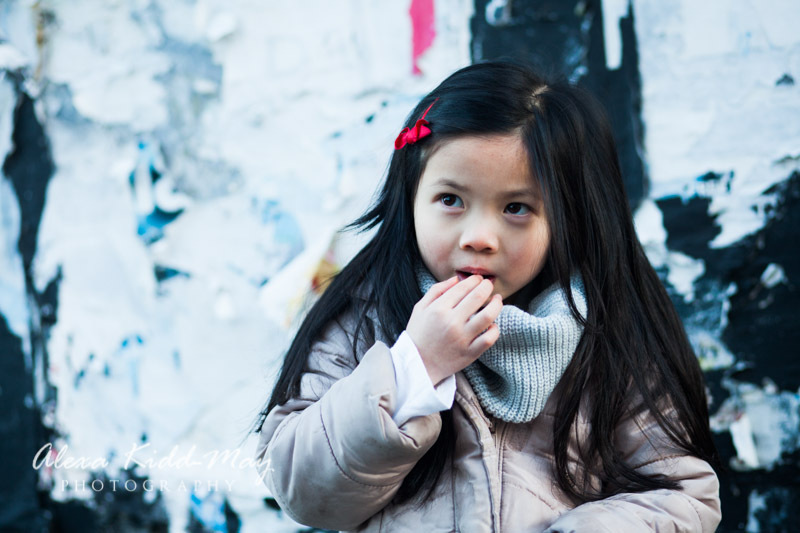 Occasionally the shoots can turn out to be a bit more urban. 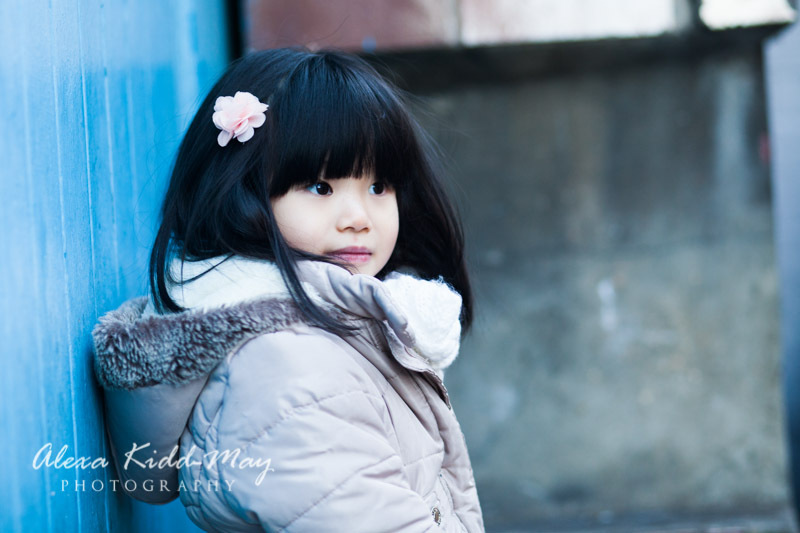 For example a family might choose to have their whole session on an outing in Central London. It can be incredibly good fun to see the kids enjoying something different from their normal routine. It also gives me the chance to use some of the fantastic backgrounds to be found on practically every street in London. 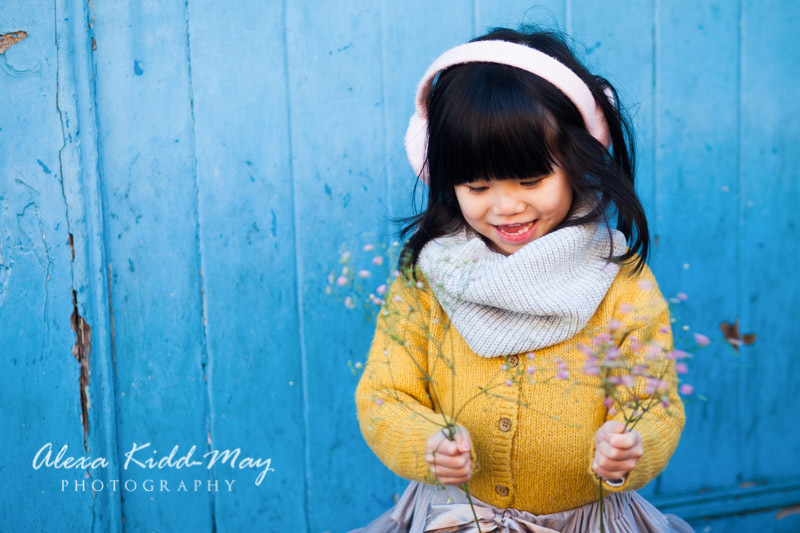 Backdrops that on first glance might seem unlikely can work amazingly well for children’s photography . Brightly coloured walls, slatted garage doors, front doors with the paint peeling off, graffiti, old Victorian railings all work brilliantly. 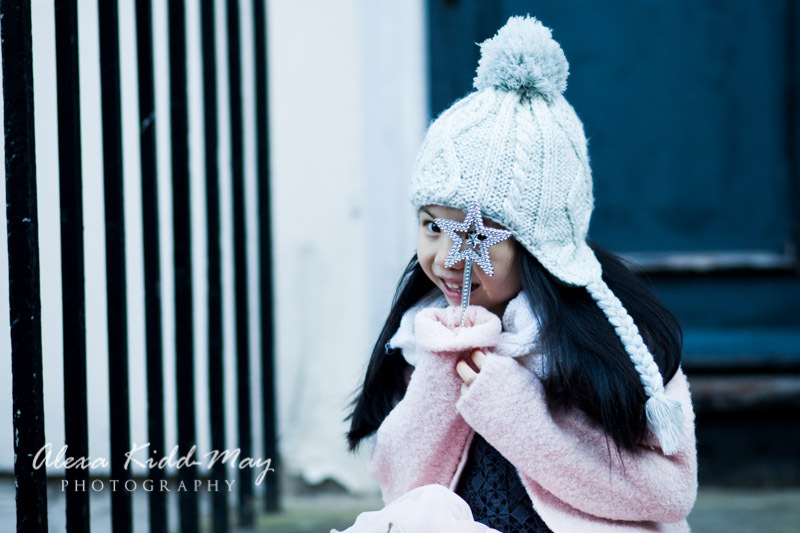 Whether I’m doing a family photography session in Fulham SW6, or kids photography in Chelsea SW10 I just love the variety of images that are possible by literally photographing around one city block in London. The images here were taken around Euston. I hadn’t photographed in that area before, but it turned out really well. 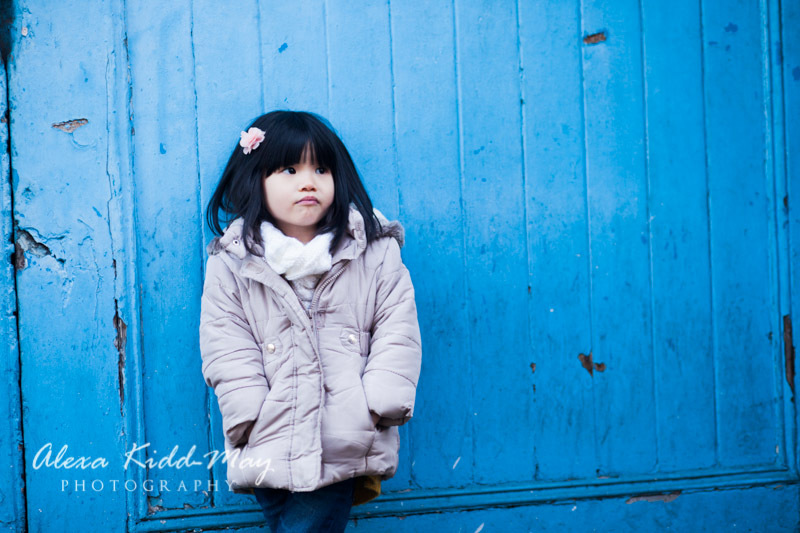 There was a multitude of vibrant coloured backgrounds that worked perfectly for photographing these two cute little girls. 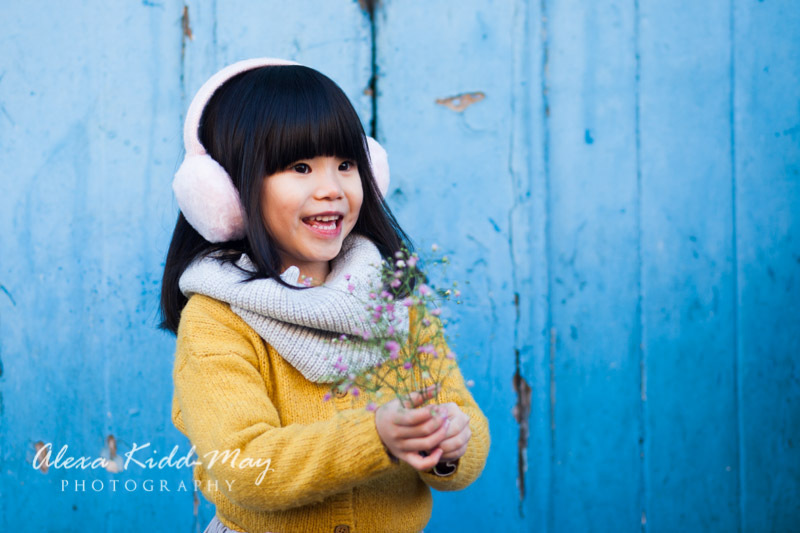 So if you fancy something a little different for your kids photography session please do get in touch. 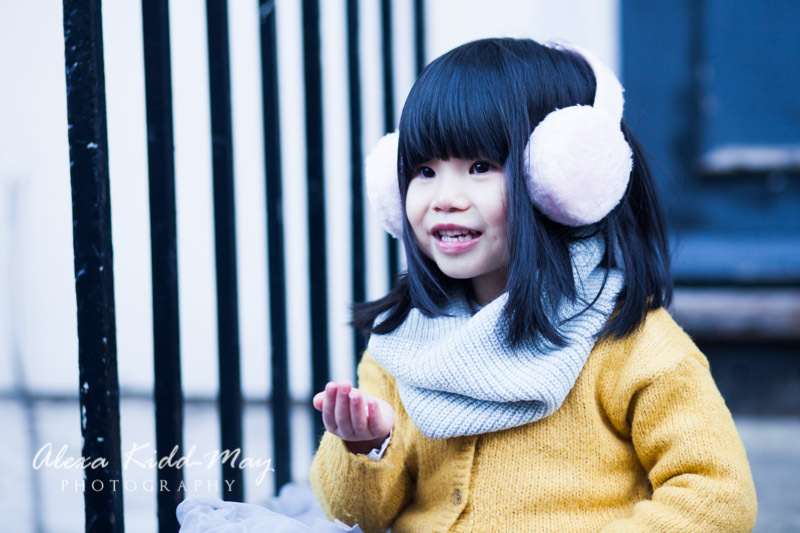 Whether we do the whole shoot somewhere in Central London, or start at your home and combine the journey into the session too, I’d love to create some unique images for you and your family.